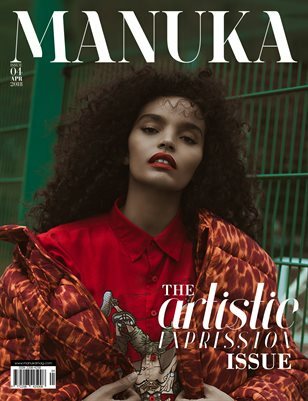 MANUKA is a bi-monthly magazine for women celebrating fashion, music, culture, design, photography, and new art across the globe. With an emphasis on fashion, MANUKA has a parallel interest in beauty, lifestyle, travel, visual arts and all forms of artistic expression. 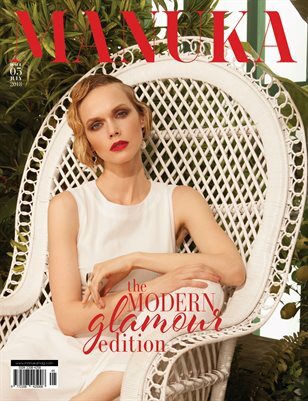 Inspired by empowering women; MANUKA offers a fresh perspective and insight into the innovative minds of emerging designers and artists. We aim to connect with the illustrious international community of like-minded creative women and successful entrepreneurs, reaching out to our audience wherever they go for inspiration. MANUKA magazine seeks to foster a new sense of appreciation with a desire to learn and explore a community of readers passionate about pushing their imaginations beyond limits. With the perfect balance of creative independence with a marketable edge; MANUKA continues to capture the attention of a devoted audience, niche in style with world-wide appeal. Print + Digital: $29.95 Digital: Free!